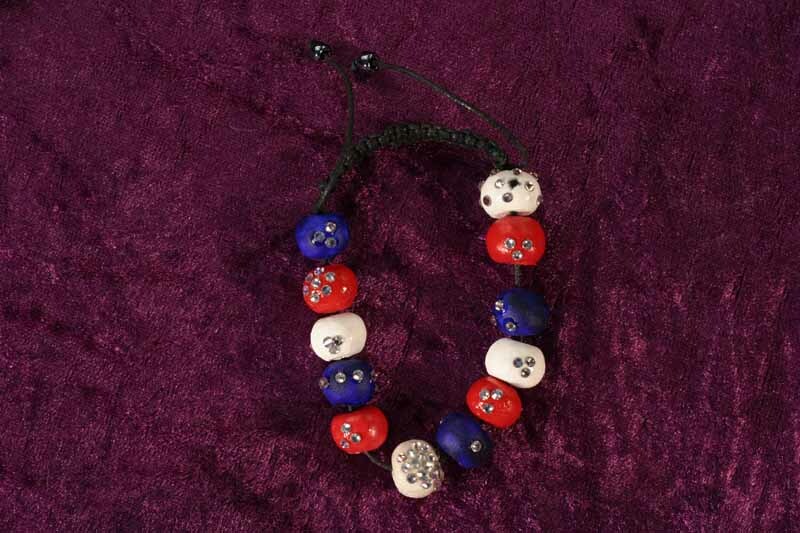 Bespoke colourful handcrafted clay bracelet embellished with 4mm Swarovski elements. Adjustable. 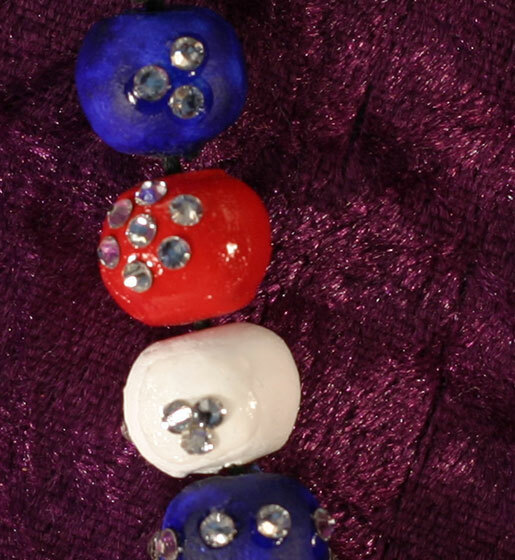 Example shown in red, white and blue.